Happy Friday! You have survived Thanksgiving and Black Friday! Hopefully most (all) of the turkey leftovers have been consumed and you are ready to move ahead into the Holiday Season. We know that all business have to change and adapt and sometimes the changes can be painful, even at the North Pole. (This has circulating for a number of years, but I have added a few tweaks). As you have probably heard, Donner and Blitzen have elected to take the early reindeer retirement package. This, in turn, has triggered a good deal of concern about whether they will be replaced, and about other restructuring decisions at the North Pole. Due to the North Pole’s loss of dominance in the season’s gift distribution business, there is a need for streamlining. 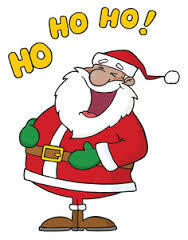 Amazon and ebay as well as online shopping continue to diminish Santa’s market share. He and the Board could no longer sit idly by and permit further erosion of the profit picture. The reindeer downsizing was made possible, in part, through a long-term lease and purchase agreement of a lighter, more efficient Chinese sled for the CEO’s annual trip. Improved productivity from Dasher and Dancer, who spent the summer at the Harvard Business School studying team building techniques, is also anticipated. This should result in an additional benefit of reducing the carbon footprint of our operations which have come under increasing governmental scrutiny. We are pleased to inform you that Rudolph’s role will not be disturbed. Tradition still counts for something at the North Pole! In regard to Rudolf, management denies, in the strongest possible terms, the rumor that his red nose was due to substance abuse. Calling Rudolph “a lush who was into the sauce and never did pull his share of the load” was an unfortunate comment, made by one of Santa’s helpers and taken out of context at a time of the year when they are known to be under ‘executive stress’. Overall we can expect a substantial reduction in assorted people, fowl, animals and related expenses. Though incomplete, studies indicate that stretching deliveries over twelve days is inefficient. If we can drop ship in one day, service levels will be improved. The functionality of drones is also under study with early results showing a lot of promise. Regarding the lawsuit filed by the bar association seeking expansion to include the legal profession (“thirteen lawyers-a-suing”), management has no comment at this time. Unfortunately, deeper cuts may be necessary in the future to remain competitive. Should that happen, the Board will request management to scrutinize the Snow White Division to see if seven dwarfs is the right number. This entry was posted in Friday Funny, Humor and tagged Christmas Humor on December 3, 2015 by Leonard.